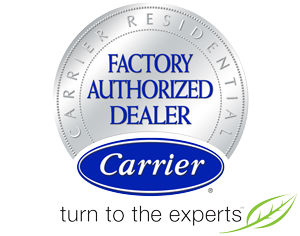 As a Carrier Factory Authorized Dealer, our team of technicians are highly trained and qualified to handle your heating system needs. Give us a call for repairs, maintenance, and installations! Purity Air HVAC is dedicated to keeping your home cool. Whether you need air conditioning repairs, regular maintenance, or a full installation or replacement, you can trust in our team. For complex commercial heating and cooling systems, you need an expert on the job. With over 20 years of industry experience, our team is ready for the job at hand. Purity Air HVAC has the perfect solution to temperature control challenges. Ductless HVAC systems are convenient, efficient, and can be adjusted to fit your needs. Call today for more information! We offer discounts & rebates! Our coupons can help you save big this season! Save $15 off your next service visit. Contact us for details! Established in 2011, Purity Air HVAC continues to provide skilled and conscientious service across Irving, TX and the DFW Metroplex. We uphold old-fashioned values while bringing you the cutting-edge technology that puts you in superior control over your indoor climate. For both residential and commercial application, our regularly updated, highly trained and certified professionals cater to your specific needs. There’s no generic answers or one-size fits all when it comes to temperature control and air quality. We recognize the benefits of customized solutions, and ensure top value from your investment dollar. Our technicians and company are bilingual, serving both English and Spanish speaking customers. 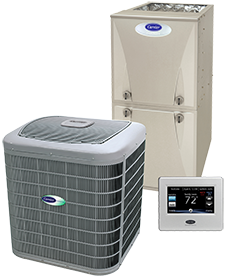 Call on Purity Air HVAC at 972-591-1891 for a full range of residential and commercial HVAC services, including design/build, retrofit, maintenance, and repair of all of makes, models, and styles of cooling and heating systems. We further specialize in ductless technology, WiFi thermostats, indoor air quality, and conscientious duct cleaning. Call our team for your HVAC maintenance, installations, and repairs! Maintaining good standing with the Better Business Bureau and fulfilling the criteria necessary to qualify as a Carrier Factory Authorized Dealer, the team from Purity Air HVAC is prepared with the specialized tools, innovative options, and dedicated services to resolve any challenge throughout Irving, TX. English & Spanish Speaking Technicians Available!